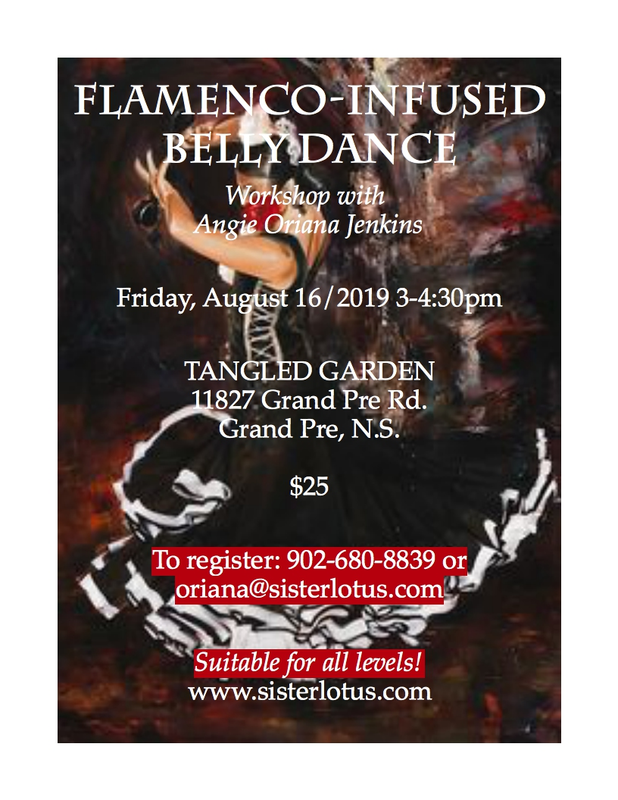 Add beautiful Flamenco elements to your Belly Dance & get spicy in the garden (and learn some easy belly dance basics if you are new to it!) Fluid arms/hands, sauciness, clapping, skirt play, & foot work will all be explored. With Angie Oriana Jenkins. Great for all levels. No experience necessary. Please bring a flowy, gypsy-style skirt. Flamenco shoes or any shoes with chunky heels are great too, though completely optional. Rain or Shine. Meet under the White Tent. Parking in the back lot please.